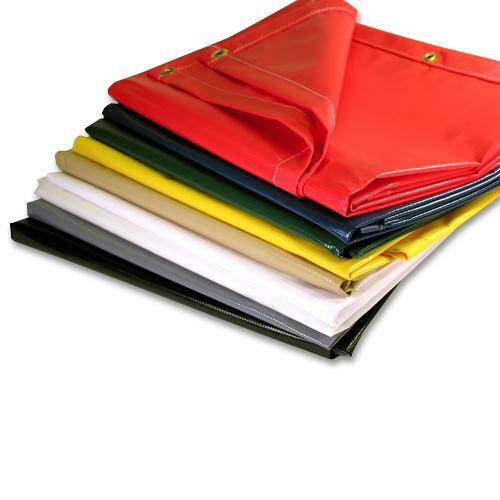 vinyl tarps are used by many different individuals for various purposes. The vinyl tarps are very functional, offering durability, tear resistance, and a waterproof covering that is effective in both cool and warm settings. Vinyl is a material that is a synthetic plastic which has been made from natural gasses and salt, making it a very environmentally friendly choice. Those who are trying to do their part to protect the planet can feel that they are making a good choice by using the vinyl tarps. They are also fully recyclable, even though they are one of the most durable tarps on the market. Vinyl is created with a special coating that makes it UV resistant. It can provide great protection from the suns rays, and it also stays flexible in the coolest of temperatures. And it is perfectly useful for the average homeowner, as well as the toughest industry out there. Many farmers make use of the vinyl tarp in their business. They need them to cover machinery, hay bales, fertilizer, and a number of other things. This is one business that uses lots of tarps, and many farmers choose the vinyl tarp as their top favorite. There are also a number of other businesses and industries that often need these products to keep working efficiently. These tarps can be used to cover loads carried by the trucking industry. They are also used by contractors and builders to protect unfinished structures. Homeowners use them around the house to protect precious luxury pieces and items in storage. There is no limit to the ways that the vinyl tarpaulin can be used. These tarps are also quite affordable, making them practical for yet another reason. With so much going for them, the vinyl tarp is sure to be a favorite for years to come. We live in Atlanta Georgia and the weather is hard on the tarps. We got your vinyl tarps and they are way thicker than my tarp I bought last.